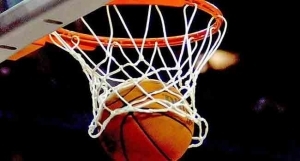 Mark Mentors on Friday defeated Savannah Conference leaders, Kano Pillars, 79-66 to win the 2015 DSTV Premier Basketball League inside the Indoor Sports Hall of the National Stadium, Lagos. With the result, Mark Mentors will now represent Nigeria in the FIBA-Africa Club Champions Cup as winner of the DSTV sponsored league. Despite the last quarter of the game ending in favour of Kano Pillars, the effort was not good enough to help them retain the title they won last year at the same venue. Kano Pillars had defeated Mark Mentors to win the title in 2014. Mark Mentors, on their way to the 2015 final, beat Union Bank 68-53 in the semi-final while Pillars reached the finals after surviving a tough contest against Gombe Bulls in a 67-63 win. Gombe Bulls won the third place game beating home side, Union Bank of Lagos, 63-53 points.